Those involved in the interior fit-out industry know how difficult it has been to comply with building code requirements and ceiling manufacturers warranties, especially in relation to seismically securing under ceiling partition walls and glazing lines to slabs above. 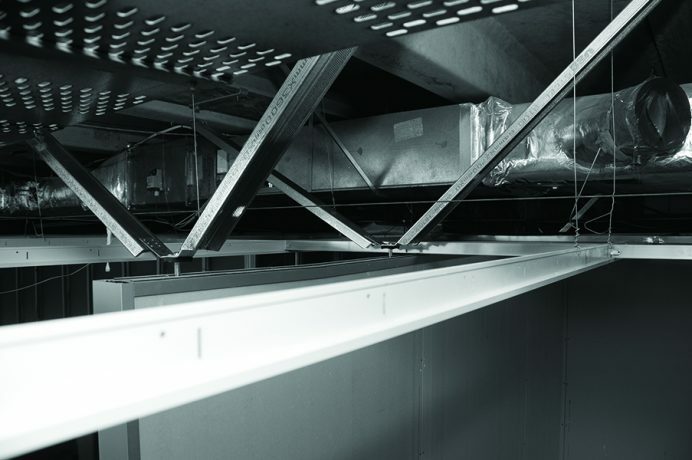 The TRACKLOK® seismic partition tie (SPT-10) provides a proprietary unit that complies with building code requirements and ceiling manufacturers’ warranties. With extensive testing and peer reviewed results, in conjunction with material testing, users of the TRACKLOK® (SPT-10) can be confident that their internal fit out creations are structurally and seismically secure.